How quickly do I get the results and what do they mean? 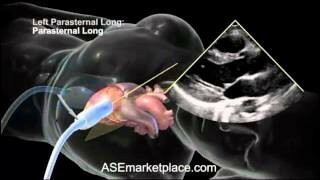 What is Ultrasound: Sound is made up of several different frequency waves. The very high frequency range is inaudible to the human ear and is known as ultrasound. Ultrasound was used by the Navy during World War II to detect submarines, and is widely used by fisherman to help find schools of fish. In each case, an ultrasound machine is used. With the help of a microphone-shaped device (known as a transducer) ultrasound waves are created and beamed through water. When the beam encounters a boundary or interface between liquid (water) and a solid (submarine or fish) with a different density or compactness, part of the beam is reflected back to the transducer. The remaining waves move through the object and reach the back boundary between solid and water. Here, some more of the ultrasound waves are reflected back to the transducer. In other words, the transducer transmits ultrasound and constantly receives waves that are reflected back every time the beam travels from one density to another. 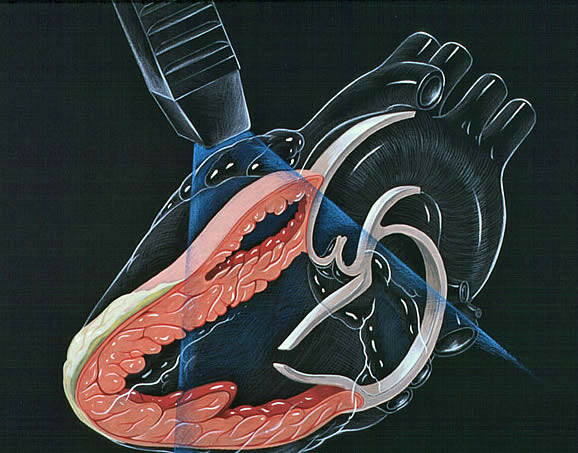 The reflected ultrasound waves are collected and analyzed by the machine. Determining the amount of time it took for the beam to travel from and to the transducer (plus the consistency and changes in position of the different structures that it passed through), the ultrasound machine can determine the shape, size, density and movement of all objects that lay in the path of the ultrasound beam. The information is presented "real time" on a monitor screen and can also be printed on paper or recorded on tape, a CD or a computer disk. That is how warships detect submarines, fishermen identify choice fishing spots, an obstetrician evaluates the fetus of a pregnant woman, and a cardiologist examines the heart of a patient. Sticky patches or electrodes are attached to the chest and shoulders and connected to electrodes or wires. These help to record the electrocardiogram (EKG or ECG) during the echocardiography test. 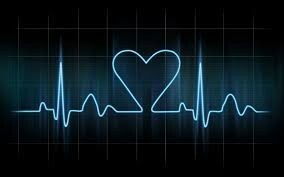 The EKG helps in the timing of various cardiac events (filling and emptying of chambers). A colorless gel is then applied to the chest and the echo transducer is placed on top of it. 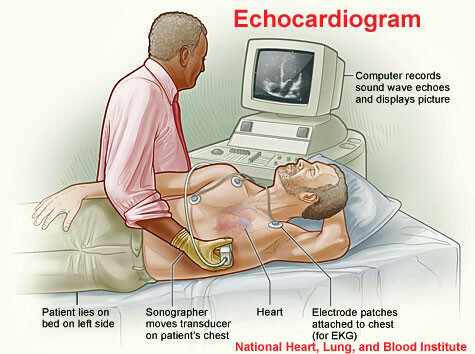 The echo technologist then makes recordings from different parts of the chest to obtain several views of the heart. You may be asked to move from your back and to the side. Instructions may also be given for you to breathe slowly or to hold your breath. This helps in obtaining higher quality pictures. The images are constantly viewed on the monitor. It is also recorded on photographic paper and on digital media. The images offer a permanent record of the examination and are reviewed by the physician prior to completion of the final report. What is a Doppler Examination? 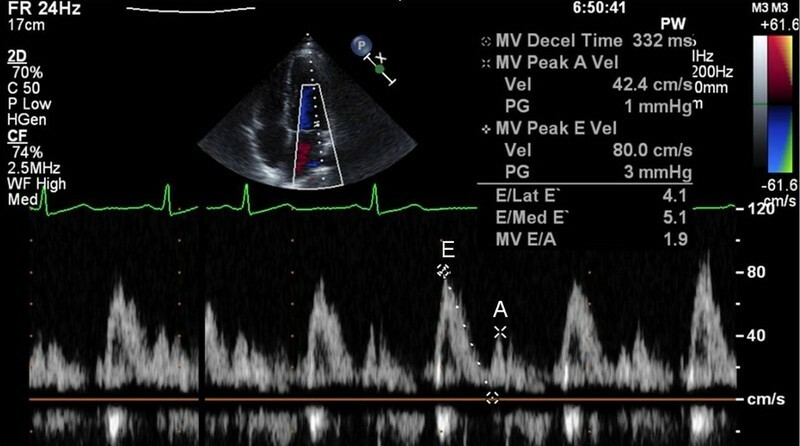 Doppler is a special part of the ultrasound examination that assesses blood flow (direction and velocity). 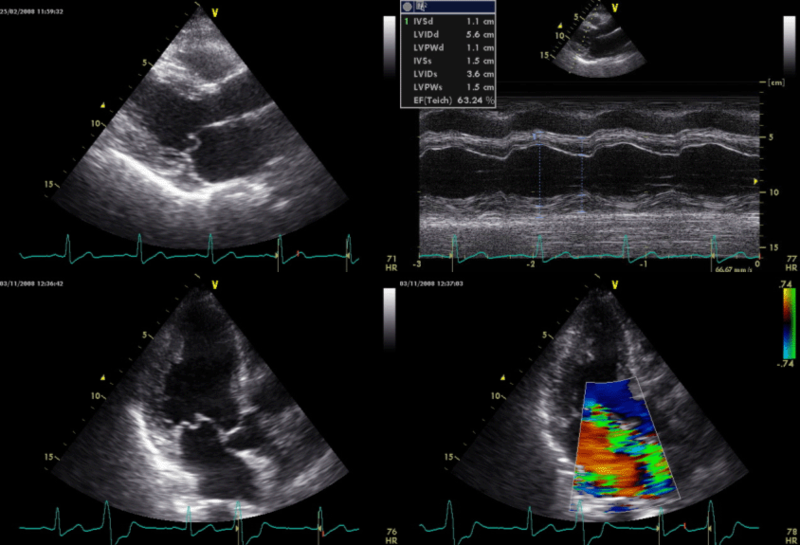 In contrast, the M-mode and 2-D Echo evaluates the size, thickness and movement of heart structures (chambers, valves, etc.). During the Doppler examination, the ultrasound beams will evaluate the flow of blood as it makes its way through and out of the heart. This information is presented visually on the monitor (as color images or grayscale tracings and also as a series of audible signals with a swishing or pulsating sound)..
– Symptoms potentially due to suspected cardiac etiology. 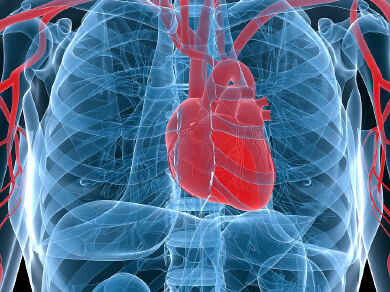 – Assessment of known or suspected adult congenital heart disease. – Evaluation of suspected complication of myocardial ischemia/infarction. – Initial evaluation of murmur in patients for whom there is a reasonable suspicion of valvular or structural heart disease. – Initial evaluation of prosthetic valve for establishment of baseline after placement. – Initial evaluation of suspected infective endocarditis with positive blood cultures or a new murmur. – Evaluation of cardiac mass (suspected tumor or thrombus). 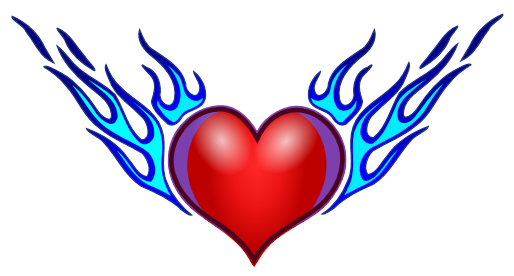 – Evaluation of pericardial conditions: i.e. 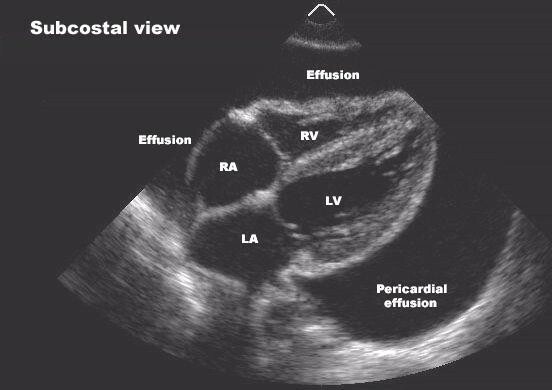 pericardial effusion, constrictive pericarditis. 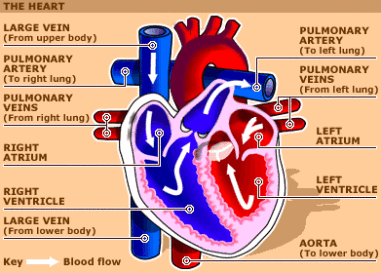 – Known or suspected Marfan disease for evaluation of proximal aortic root and/or mitral valve. – Initial evaluation of known or suspected cardiomyopathy. 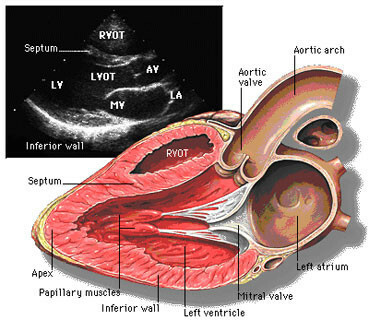 Size of the chambers of the heart, including the dimension or volume of the cavity and the thickness of the walls. The appearance of the walls may also help identify certain types of heart disease that predominantly involve the heart muscle. In patients with long standing hypertension or high blood pressure, the test can determine the thickness and "stiffness" of the LV walls. When the LV pump function is reduced in patients with heart failure, the LV and RV tends to dilate or enlarge. 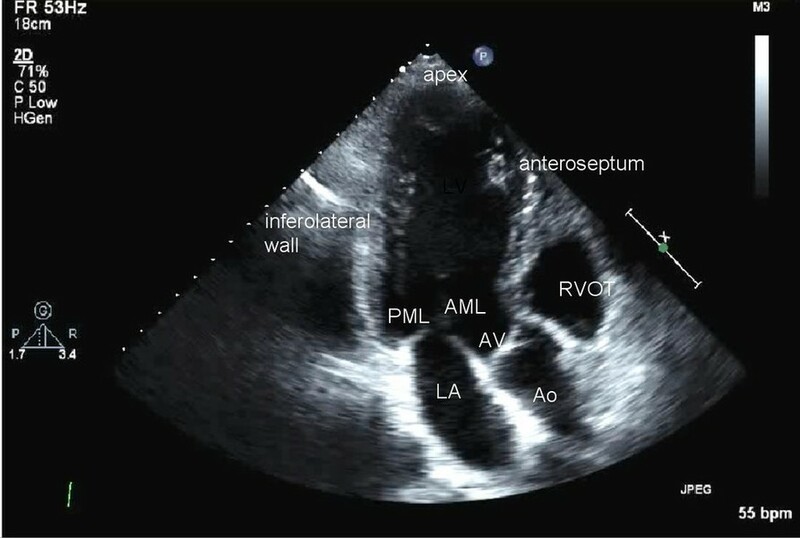 Echocardiography can measure the severity of this enlargement. Serial studies performed on an annual basis can gauge the response of treatment. Echocardiography can also identify if the heart is pumping poorly due to a condition known as cardiomyopathy (pronounced cardio-myo-puth-e), or if one or more isolated areas have depressed movement (due to prior heart attacks). Thus, echocardiography can assess the pumping ability of each chamber of the heart and also the movement of each visualized wall. The decreased movement, in turn, can be graded from mild to severe. In extreme cases, an area affected by a heart attack may have no movement (akinesia, pronounced a-kine-neez-ya), or may even bulge in the opposite direction (dyskinesia, pronounced dis-kine-neez-ya). 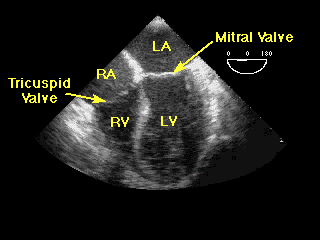 The latter is seen in patients with aneurysm (pronounced an-new-riz-um ) of the left ventricle or LV. 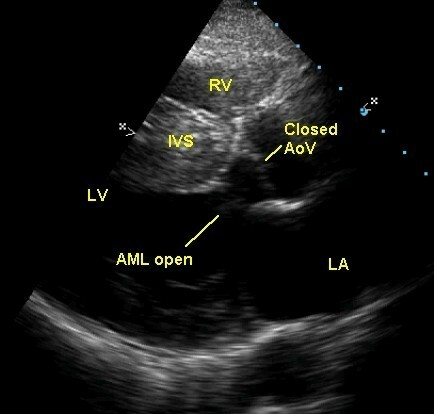 It must be remembered that LV aneurysm due to an old heart attack does not usually rupture or "burst." Volume status: Low blood pressure can occur in the setting of poor heart function but may also be seen when patients have a reduced volume of circulating blood (as seen with dehydration, blood loss, use of diuretics or "water pill. ", etc.). In many cases, the diagnosis can be made on the basis of history, physical examination and blood tests. 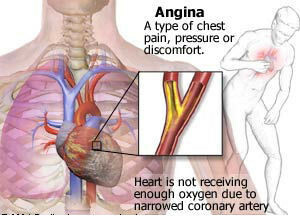 However, confusion may be caused when patients have a combination of problems. Echocardiography may help clarify the confusion. The inferior vena cava (the major vein that returns blood from the lower half of the body to the right atrium) is distended or increased in size in patients with heart failure and reduced in caliber when the blood volume is reduced. When can I expect to receive the results? If a doctor is present during the test or reviews it while you are still in the office, you may be able to get the results before you leave. However, the doctor is not routinely present during the test and you may have to wait from one to several days before the images have been reviewed by a physician and the results are sent to you by phone or mail. Some physicians will discuss your case before the study is performed and will contact you if there are significant unexpected findings. For example, if you are expected to have a finding or known to have a given disease, your physician may indicate that he or she will call you only if there are significant unexpected findings. 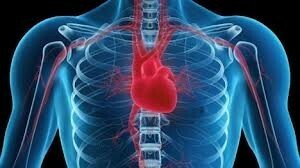 You may also be contacted if echocardiography reveals a finding that influences a change in treatment. For example, the presence of a distended inferior vena cava (discussed above) may result in increasing the dose of your diuretic or water pill, if it is indicated by other aspects of your condition. If you are anxious or confused about the results feel free to contact the physician's office staff. They can usually clarify a question for you.